Eight photo panorama taken from the shores of Washington Lake. Lake was being drained to work on small earthen dam that added volume to the natural lake. Trees to the left are illuminated by camp fires in the camp ground. 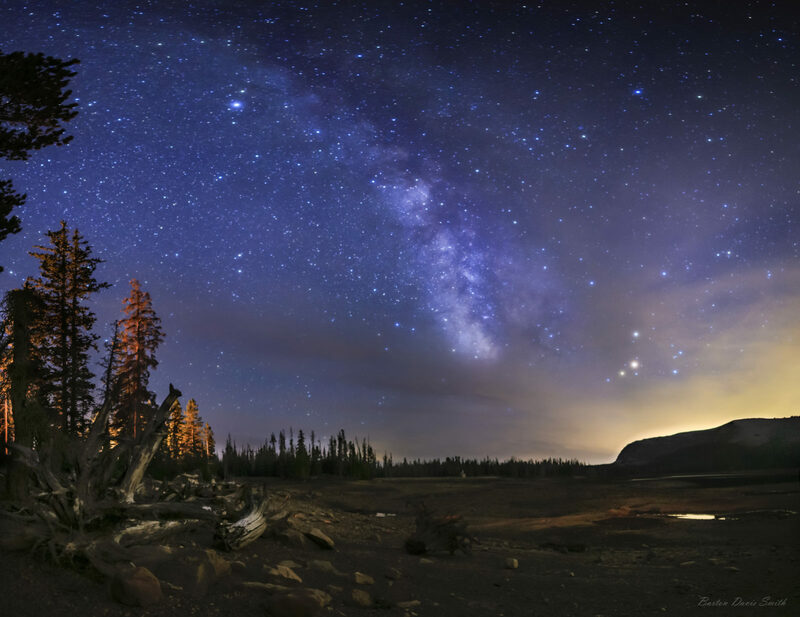 A forest fire over the mountain to the right is the cause for the light colored clouds obscuring the Milky Way. Full moon is ready to rise from the right side, thus washing out the stars in the sky.